34” L x 21 ¾” W x 33 ¾” H Weight capacity: 250 lbs. You have enough to lug around without worrying about chairs and tables. Why not get them at Ravinia? We’ve made it easier than before and we’ll do all the heavy lifting! Wintrust Chair and Table Rental is a convenient way to enjoy the lawn without having to haul your gear! When you arrive at the park, go to the green tent located just north of the Martin Theatre, facing the dining pavilion. You can’t miss our bright blue uniforms or the friendly smiles! Our staff will take your chairs and tables to your spot on the lawn and even help you set up. You can plan ahead and reserve your gear in advance (for a discount) or just walk upto the tent on the day of the concert. Read below for more information on the different ways to rent! How To Order: You can now reserve your chairs and tables while completing your checkout for tickets or by clicking the "add-ons" button on the appropriate concert page. All major credit and debit cards accepted (Discover, Visa, MasterCard and American Express). 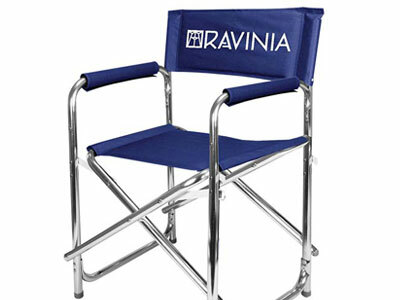 For more information, e-mail ChairRental@ravinia.org or call 847-266-5060. Reservations may not be made via phone or email. All sales are final. Reservations must be made by 8 p.m. one day prior to the concert. Reservations not picked up by 15 minutes after the posted concert start time will be released for walk-up rental. Refunds will not be considered for late arrivals. Walk-up availability may be very limited for popular events. Managed by the Ravinia Women’s Board. Proceeds benefit Ravinia and its REACH*TEACH*PLAY® music education programs. Reserve your chairs and tables in advance and receive a discount on your order! To get started, go to the online calendar and select your concert date. Click the “add-ons” button to start your order. Prices are $8 per chair and $10 per buffet table. Side tables are only available with large group rentals. Reserving online guarantees availability. You can also rent your chairs and tables on the day of the concert. Just walk up to the green tent and our friendly staff will help you get you what you need. Prices are $10 per chair and $12 per buffet table. 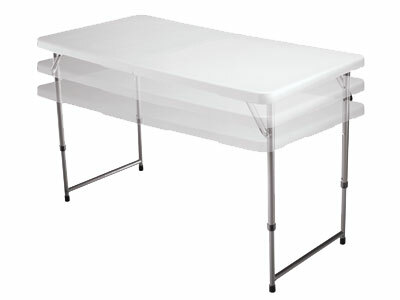 Fitted tablecloths are available for $4. Renting this way will be based on available inventory. Note: Online reservations for chairs and tables must be received by 24 hours prior to the concert. If there is not enough advance time, please visit the rental tent on the day of the concert. Are you planning a party or other group event? Discounts on chairs and setup are available when you reserve 20 or more chairs. While this option does not allow us to set your chairs and tables up in advance, our staff will have them on a cart, ready to be taken to the lawn as soon as the first member of your party arrives. Just come to the green tent and our staff will help get you set up. Inventory is guaranteed with these reservations. Group Chair rentals will be available once the 2018 season is on sale starting May 8. New: Group orders are now available by clicking the add-ons button on the concert's webpage. Discount will automatically apply once quantity is over 20. Planning a group event and looking for catering options? If your event is catered with Levy Restaurants at Ravinia, your chairs and tables will be set up before the park opens! To learn more about this option, click here.